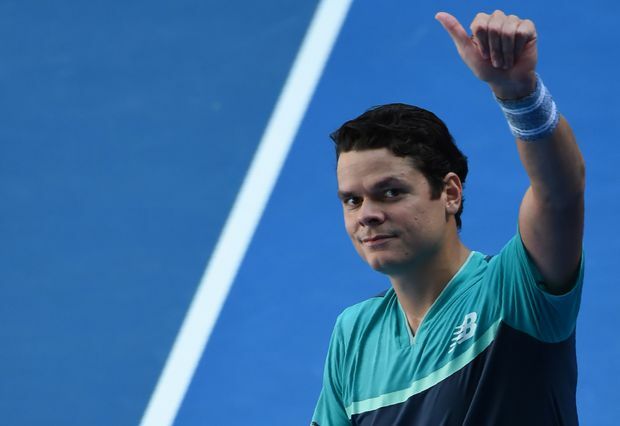 Milos Raonic stands as the lone Canadian remaining at the Australian Open. Raonic is moving on to the fourth round of the Australian Open for the sixth time in his career after downing France’s Pierre-Hugues Herbert in straight sets on Saturday, while fellow Canadian Denis Shapovalov was ousted by six-time champion Novak Djokovic in four sets. Raonic, ranked 17th in the world, downed No. 53 Herbert 6-4, 6-4, 7-6 (6) to earn his way into the Round of 16 and will play the winner of the later match between fourth-seeded Alexander Zverev and Alex Bolt. The Thornhill, Ont., product swept to 3-0 and 5-1 leads in the tiebreaker but Herbert rallied to level at 5-5. Herbert saved one match point before Raonic clinched the 2-hour, 1-minute match with an ace. Raonic said he feels the tough matches he’s had so far in the tournament have laid a strong foundation for what’s to come. Meanwhile, the 19-year-old Shapovalov, from Richmond Hill, Ont., showed flashes of his skill against the world No. 1 and even came back to steal the third set despite trailing 4-2, but in the end the veteran was too much to overcome. The 31-year-old Djokovic downed the 27th-ranked Canadian 6-4, 6-4, (6) 6-7, 6-0 in 2 hours, 22 minutes.